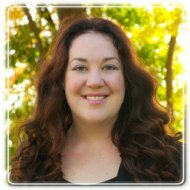 Burlington Therapist: Lindsay Simmons - Therapist L7N 3C6. Session Fees: $120 for a 50 minute session. $150 for a 90 minute session. Therapy can be a valuable road-map on the journey towards self-love. It can help you reconnect with yourself, your family and your inner circle, to achieve a happy, balanced life. Since completing my Masters of Social Work at the University of Toronto, in 2006, where I specialized in Health and Mental Health, I have worked with homeless populations, displaced families, youth with brain injuries, individuals and families facing major life transitions (Divorce, Relocation), and those struggling to overcome anxiety, fears and depression. I offer in-person and online counselling services to my clients. It is my belief that therapy is not "one size fits all" and therefore it must be customized to each individual and family. Most health insurance plans cover the services of a Registered Social Worker. Check with your Human Resources office to determine if you are eligible for coverage. I continue to be a member in good standing with the Ontario College of Social Workers and Social Service Workers (OCSWSSW), the Ontario Association of Social Workers (OASW) and the Canadian Association of Cognitive Behavioural Therapists (CACBT). This ensures that I am fully licensed and competent in my field. I believe that everyone deserves the opportunity to live their best life. Please contact me for a free 15 minute phone call to see if we would be a good fit for each other.